As I’ve turned my attention toward investing in quality makeup items throughout the past year, I’ve discovered a few must-have miracle products that, despite their weird or ordinary appearances at first glance, are must-haves for everyone (in my opinion). Smashbox Always Sharp Waterproof Kohl Eyeliner in Bare: I mentioned this eyeliner in my February favorites, but it really is the best liner out there for lining the waterline of your eyes. I use it when my eyes are looking a little red to brighten them. Nyx Radiant Finishing Powder: This is one of the products that’s intimidating at first because of all the crazy colors. But I like to use it after my setting powder to add a little brightness and highlight to my face. Laura Mercier Secret Brightening Powder: This is hands down the best setting powder for the undereye area — and a little goes a long way. Becca Lip Priming Perfector: Before you put on lipstick or even gloss, this lip priming perfector is ideal for adding longevity. 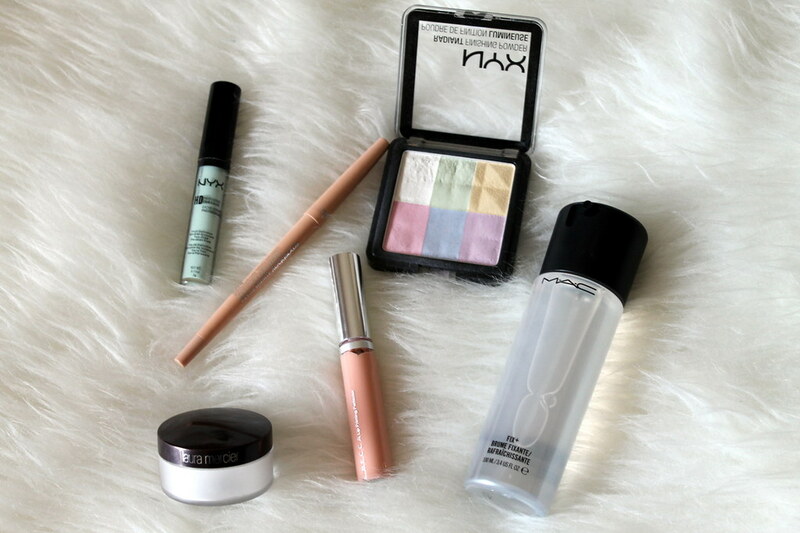 Mac Fix+: My most recent addition to my makeup collection, Mac Fix+ is the ultimate miracle product. When you use it to apply shimmery eyeshadows, it gives the shadow a foil finish and increases the color payoff.